Historical records show over 80 different breweries existed in Bamberg at one time or another. Most of them are gone without trace, except for a line or two in some old musty city directory. Others live on in various collections of beer glasses, mugs, labels and beer mats. 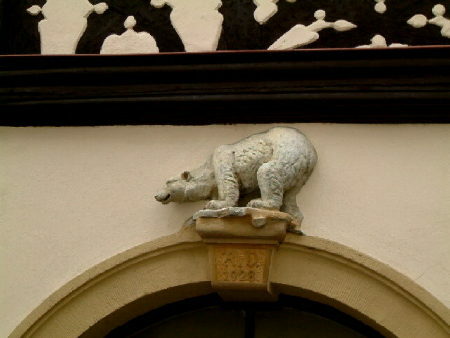 A few live on in their buildings, such as Brauerei zum Polarbär. 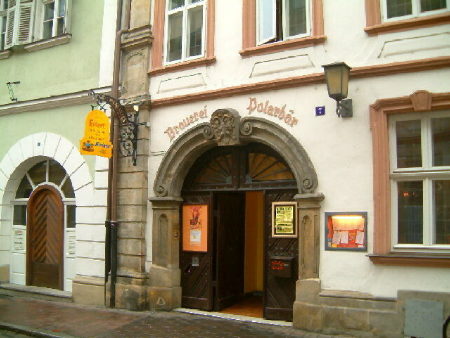 Formerly located at Judenstraße 7 in the Bamberg Altstadt, today it is the home of the restaurant Bolero but you can see the name lives on -- literally on the building. Their flagship beer was a rauchbier (and the brewery was known as a Rauchbier Brauerei), but I could not find information on other beers they brewed, if any. The polar bear statue figured prominently in their advertising, as this ad from the 1930 Bamberger Jahrbuch (Yearbook) shows. If you can struggle thru the archaic German script, you can read a little about the history of the brewery in the ad. Now across the street at Judenstrasse 2 was another brewery, Brauerei zum Blauen Löwen (The Blue Lion). The brewery and building date from the mid 1600's. The building was extensively renovated in the early 80's to turn it into student housing for the growing University of Bamberg. 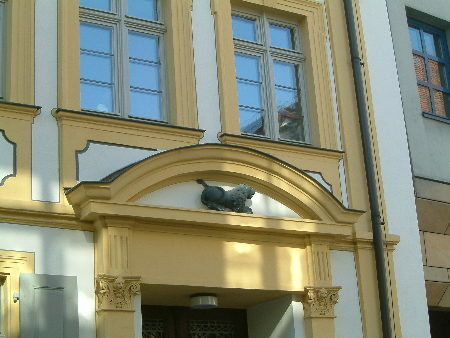 The only sign of the former brewery is a small blue lion above one of the doorways. In 1897 the brewery need to expand so a new modern (for the time) steam driven brewery was built on the Stefansberg at Obere Stefansberg 40 and the brewery became known as Dampfbrauerei zum Blauen Löwen (Steam Brewery of the Blue Lion) The building at Judenstrasse 2 became the tap room. 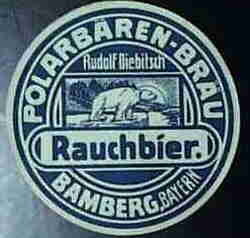 In 1934 the two breweries merged, forming (naturally) Polarbär and Blau-Löwen Bräu. 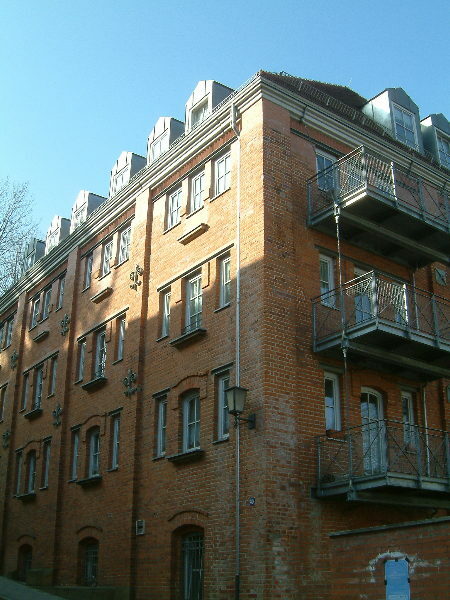 The building at Judenstrasse 2 was used mainly for storage. The joint brewery lasted until 1965 when it was acquired by Löwenbräu Bamberg, The brewery at Stephansberg 40 became the main brewery for Löwenbräu Bamberg, until the late 1980's when brewing ceased and the brewery was converted into apartments. 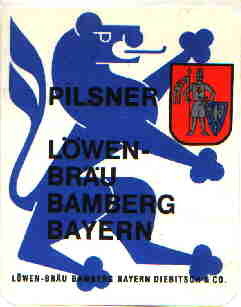 The Löwenbräu beers were contract brewed until the late 1990's. 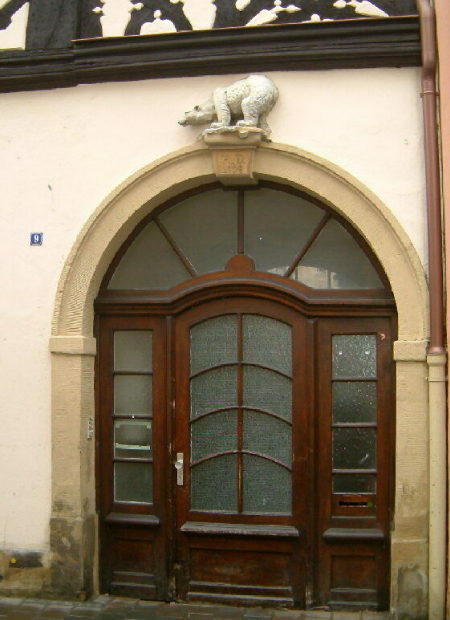 The Polarbär lasted as a pub and nightclub until the late 1990's.